Incredible value for money! 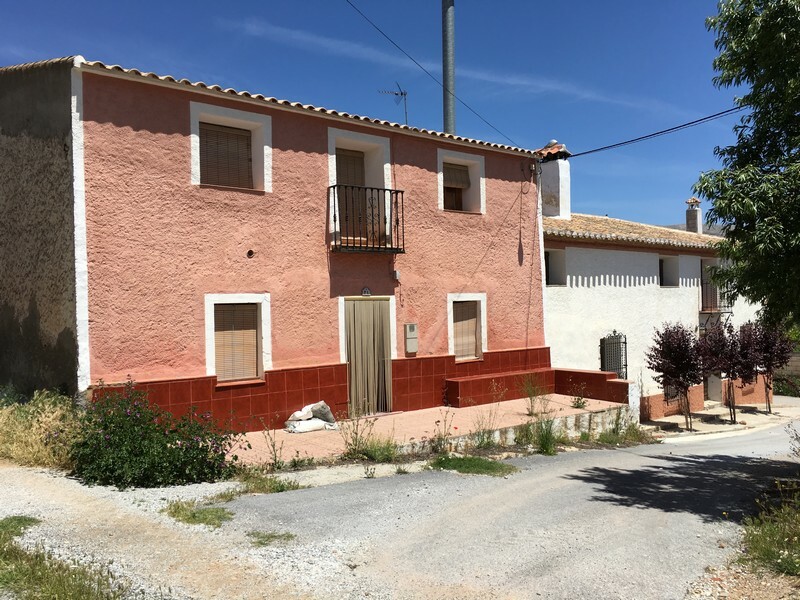 72¸000 Euros for detached rural Spanish house¸ for sale¸ in lovely¸ private setting with unobstructed views to the countryside and the Sierra Baza Park. Walled garden at back¸ large roof terrace and approximately 7800 sqm (2 acres) of surrounding irrigated farmland¸ planted in olive trees. Ideal spot for self-sufficient living¸ horses¸ kennels¸ etc. 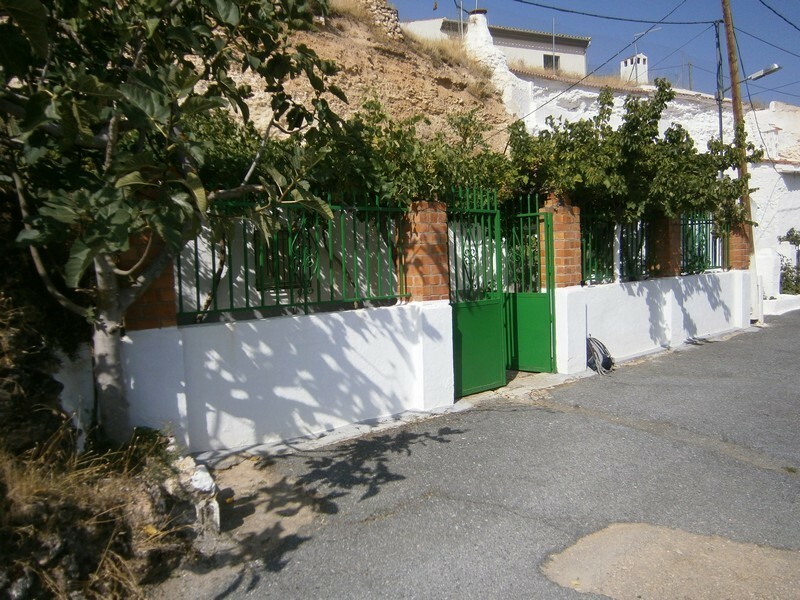 Walking distance to nearby hamlet and just a few minutes' drive to all amenities in Caniles or Baza¸ Granada. House has mains electrics connected¸ mains water for connection and water well for irrigation. Phone and internet available. The house is ready to move into¸ with new kitchen and bathroom. Only flooring¸ basic plastering and paint are needed to finish the property. The home has its habitation certificate. ------------------------------------- The house has: An entry hall¸ large¸ newly fitted high-quality kitchen with down-lighting¸ large living room with wood burner and patio doors to walled garden at the back and roof terrace. 2 bedrooms and large bathroom with walk-in shower. ------------------------------- At the back of the house is a walled¸ sunny garden area¸ ideal for children or pets¸ with a storage shed¸ where the water well is located. Stair access to a large rood terrace with 360 degree views of the area. ------------------------- On the land are approximately 185 irrigated olive trees. 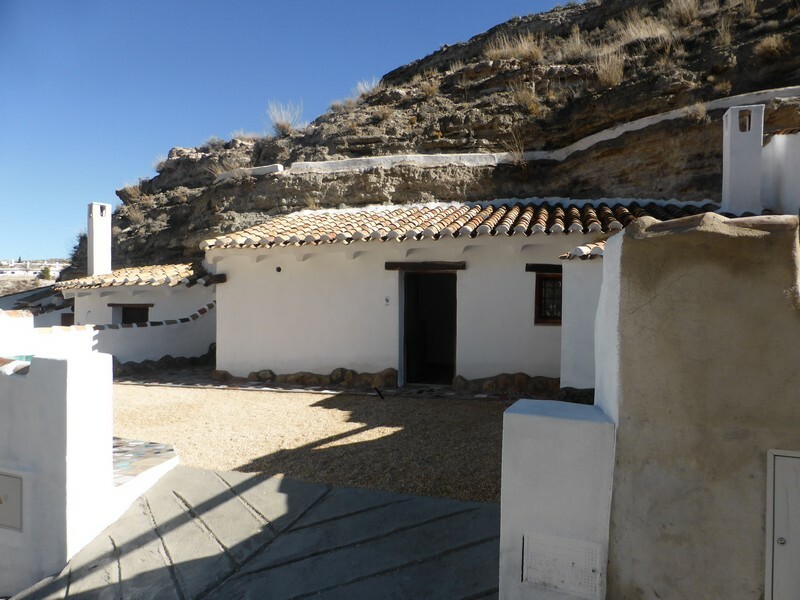 Fantastic Spanish cave house for sale¸ with a large outdoor patio¸ roof terrace and in-ground pool¸ located in a rural area¸ a few minutes by car from Baza (Granada) in a lovely area immersed in nature. The property has 4 bedrooms and is sold fully furnished - Ready to move into. Large workshop/garage at the side. The cave has a large terrace from which beautiful views of the valley and surrounding mountains can be seen. Mains electric and water connected. Phone and internet available. 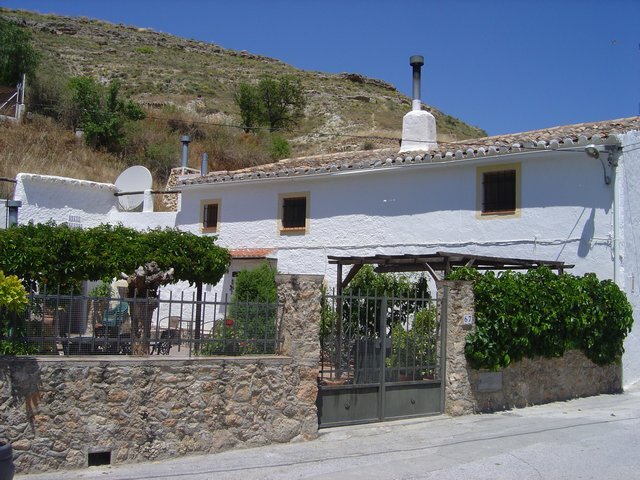 A partially reformed detached Farmhouse with 2 ha of land in Baza (Granada). Located on the outskirts of the village and in a quiet area. A mere 5 min by car from all services of the city. The property has 2 interconnected wells and 2 watering holes. In total the Farmhouse consists of entrance hall¸ 8 rooms¸ 2 kitchens¸ 2 living rooms with fireplace¸ an inner courtyard and the garage area. The ground floor is partially renovated and the second one to be renovated. It is more than 100 years old and in very good state of repair and without humidity. Mains water and electric for re-connection. With more than 600 olive trees in full production. A rare opportunity to invest in this area. A beautifully detached rural reformed 4 bedroom partial cave house with fantastic vaulted ceilings. Set in the countryside about a 10 min drive from the market town of Baza Granada with incredible views towards the Sierra de Baza. The property is totally off grid with a 10 panel solar system and water from a well which is purified through a small treatment plant. There is a large fenced paddock area outside perfect for horses etc included in the 9¸500m2 of land. Internet available. REDUCED from 125¸000 Euros to 90¸000 Euros. Once in a lifetime opportunity. 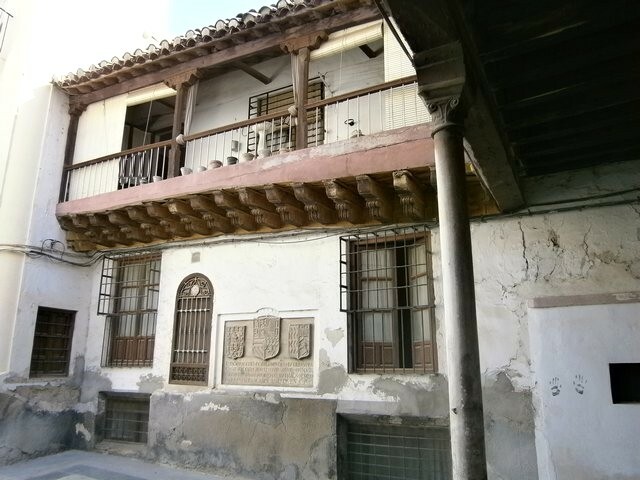 This 16th century iconic home for sale in the historic centre of large market town of Baza¸ Granada. On 3 levels and with extremely rare over-street passageway. Most original feature still in house. One of only 2 remaining homes in the town with the original wooden balconies from this era. Ideal property for historic hotel or Bed and Breakfast. Sale includes shop on street level attached to home. Baza has invested heavily in the infrastructure of the city centre¸ there is a new boutique indoor market and community centre close to the property¸ also museums¸ walking routes and tourism and this could be the first historic hotel or Bed and Breakfasts in the centre of town. With an option to buy an attached renovated 4 bedroom town house with a commercial premises on the ground floor. 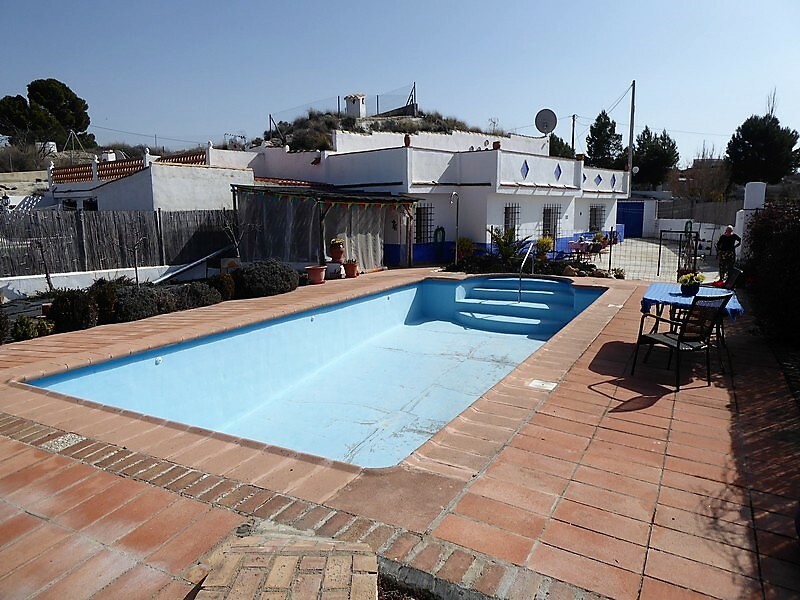 For sale exceptional property consisting of two caves inside a large patio with pool. 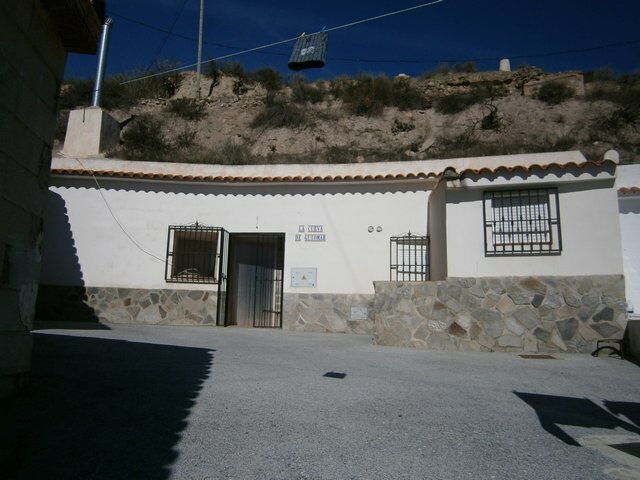 The property is completely fenced with private access¸ is located in the highest neighborhood of the city of Baza (Granada)¸ so you can appreciate some fantastic views of the entire village and the surrounding mountains. It is two minutes by car to the city centre. Very appropriate to rent one unit. In the courtyard there is also a shed to store all types of tools. The caves are built in beautiful rustic style. In total between the two caves there are 3/4 bedrooms. Amazing ecological rural tourism Outdoor Pursuit Centre for 205¸000 Euros. 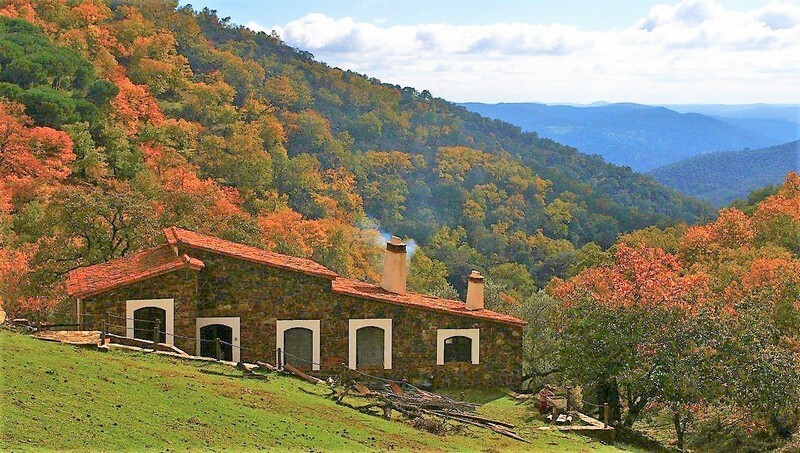 A beautiful rural¸ mountain property in perfect condition¸ with a Casa Rural Básica tourism licence¸ situated in the Sierra de Aracena Natural Park¸ just north of Seville and Huelva in the heart of Andalucia. ------------------------- The centre is surrounded by approximately 70¸000 sqm (17 acres) of land with wooded land including oak¸ cork oak¸ holm oak¸ olive and fruit trees. It is located in Arroyomolinos de León (Huelva) at 900m altitude on the southern slope of a hill at the foot of the highest parts of Huelva. The town of Arroyomolinos de León (Huelva) is about 25 minutes away¸ Cabeza la Vaca (Badajoz) 20 minutes¸ Mérida an hour¸ Sevilla just over an hour and Portugal is 45 minutes. -------------------------------- Incredible walking and horseback riding routes throughout the land and local area. The sale includes a 4x4 Suzuki Vitara and a Quad Bike. 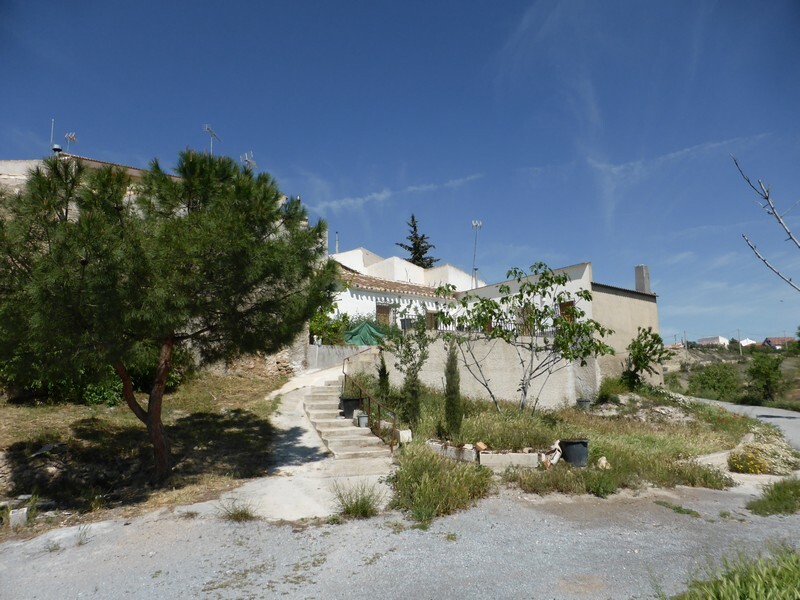 Reduced by 25¸000 Euros! 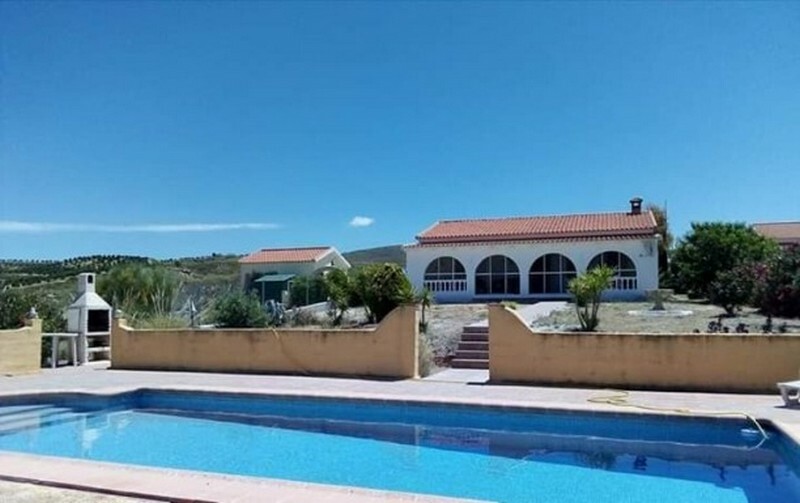 Beautiful rural detached cave house with land for sale near Lake Negratin¸ completely isolated from neighbours with magnificent views of the countryside and the Sierra Nevada Mountains and ski range. In ground swimming pool next to the house. 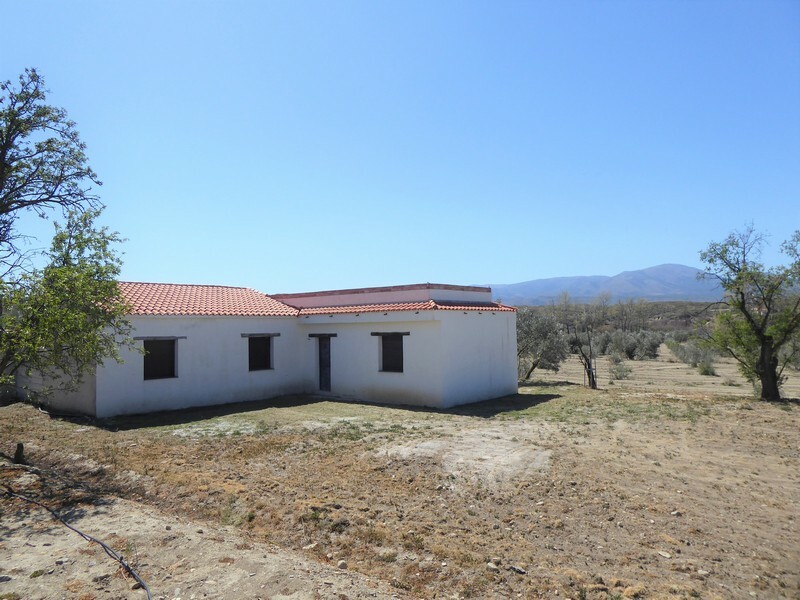 ------------------------ The property has approximately 35¸000 sqm (8.6 acres) of land with 400 olive trees in production and 40 almond trees. 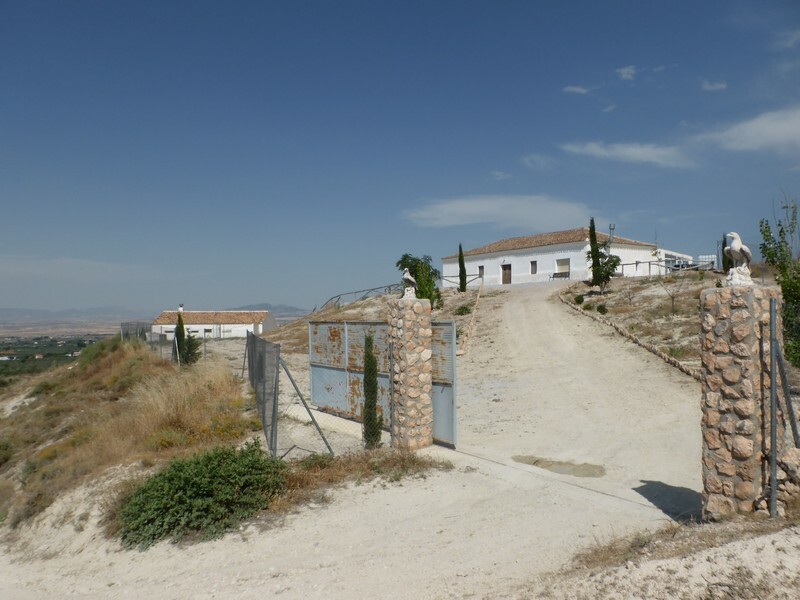 Located a few minutes drive from the town of Cuevas del Campo (Granada) and Lake Negratin. 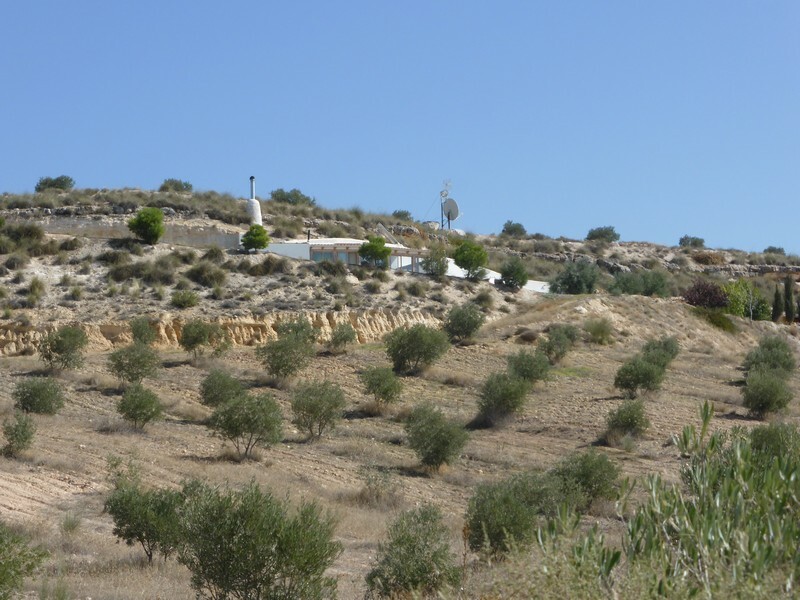 ------------------------ The property has approximately 35¸000 sqm (8.6 acres) of land with 400 olive trees in production and 40 almond trees. ----------------------------------- On the property are three independent storage caves¸ in very good condition for storage¸ workshop or rental units. ------------------------------------------ Mains electricity and water connected¸ internet and phone available¸ solar panel hot water system and biomass heating system. For sale exceptional complex of a cave house with a nice central courtyard and a large private parking. 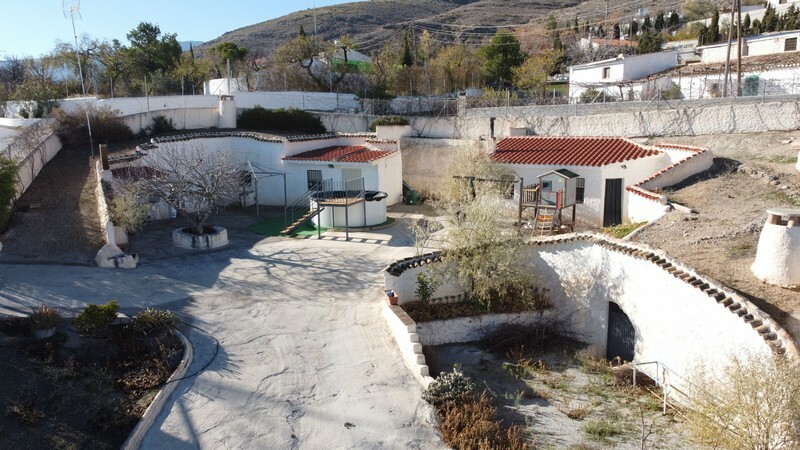 Located in a very quiet area outside the town of Huescar (Granada) a few minutes drive from the town center with exceptional views of the mountains of Sierra Nevada and the town. From the large parking lot you access down to the spacious patio where in the center there is a large and beautiful tree. The property has great potential to be enjoyed as rural tourism. There is a part of the property where there is a fully equipped bar-room and an entrance shed where there is a kitchen. In the bar there is also a fireplace¸ tables and chairs. From the bar we access to the cave area where there is a fully equipped kitchen¸ next a bathroom¸ and a hallway that leads to a spacious lounge that communicates with a study room (which can be transformed into a bedroom). At the back two bedrooms. From the kitchen through stairs you access another charming living room with fireplace. The other section of the property is B & B where we find an equipped kitchen with a bathroom to the right and a spacious living room to the left. This room has an enhanced floor plan where a small library is placed and in the back a storage room. From the kitchen through a corridor we access the night area¸ which is composed of a long corridor where 5 bedrooms are located. All the bedrooms are brightly personalised with a beautiful and sober furniture. In the outdoor patio we also have a service bathroom for potential customers and a storage room. The patio is provided with tables and chairs. 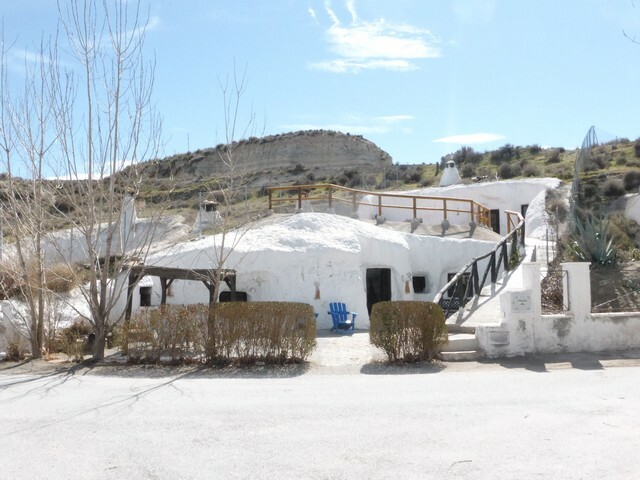 An exceptional investment for B & B activity or for a fantastic cave house to live. Properly by its characteristics it is easily possible to live in one section and rent the other. A stunning 4 double bedroom partial cave house on the edge of Galera¸ with direct access to the beautiful countryside¸ in a small gathering of cave houses. 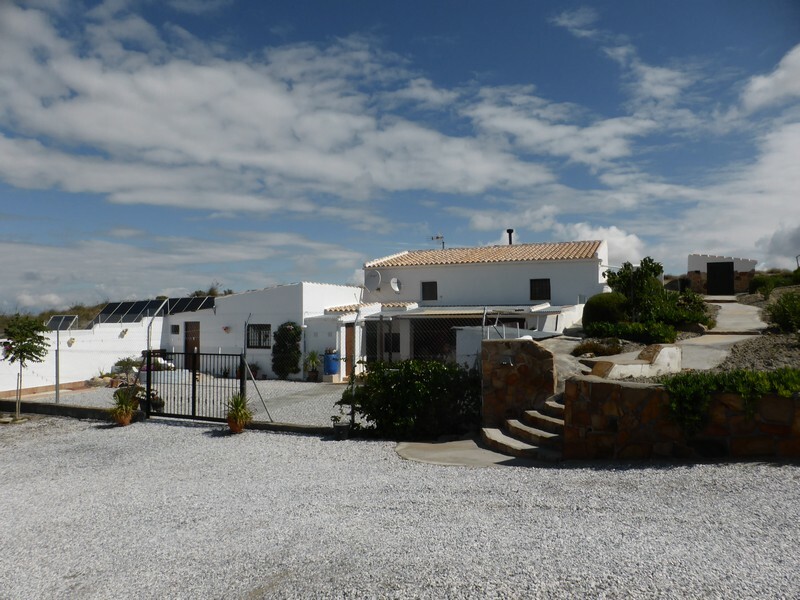 This house offers some of the best views in Galera¸ overlooking the Sagra Mountains; a beautiful spot. Possibility of easily adapting the property into two separate units for rentals or bed and breakfast. Furnishings negotiable. Reduced from 110¸000 Euros - now 79¸999 Euros! Underground living in Style! 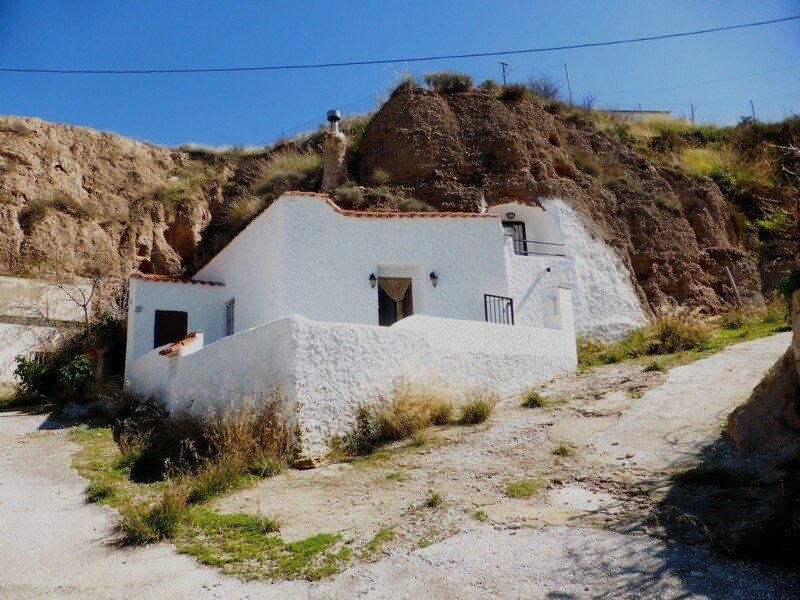 Lovely rural detached cave house for sale in remote setting just 15 min from the market town of Baza¸ Granada. Indoor Swimming Pool for finishing in cave. Newly renovated to top standard. Approximately 9700sqm (2.4 acres) of land. 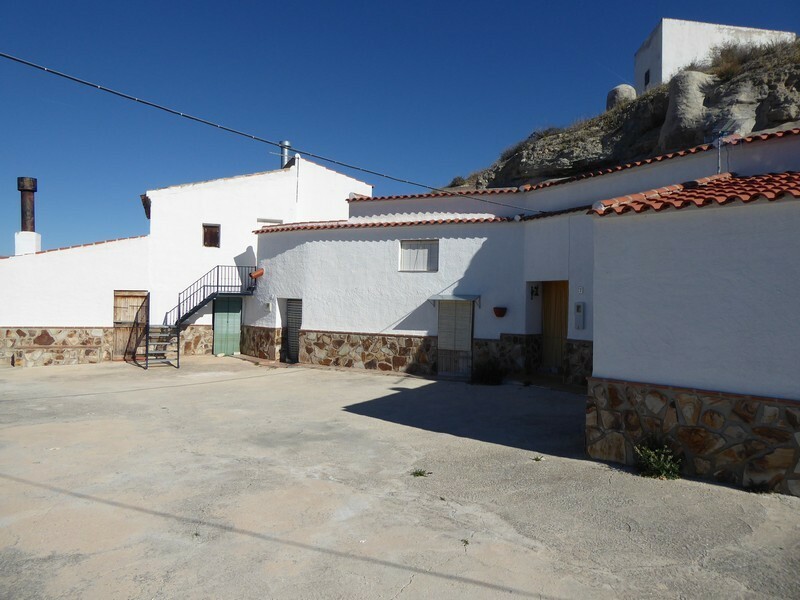 A beautifully finished¸ detached rustic 3 bedroom rural cave house for sale just 5 min outside Benamaurel¸ Granada (Andalusia¸ Spain) with a fantastic finish and ready to move into. Sat in a small quiet neighbourhood with great views over the countryside towards Mount Jabalcon. Just a short drive to Lake Negratin. Reduced to 115¸000 Euros!! 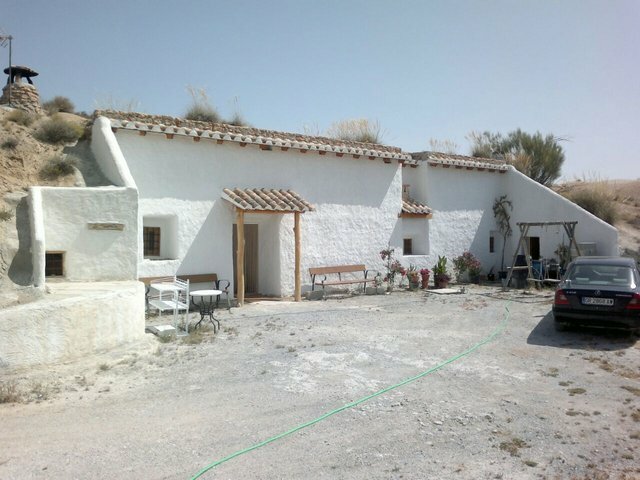 Beautifully renovated rustic-style 4 - 5 bedroom cortijo with cave house for sale opposite there is a walled garden and fruit and vegetable garden opposite. The house has ideal layout for Bed and Breakfast or independent rental of cave house or farmhouse. ----------------------- Lovely location above green valley with excellent views. Ready to move into. Nice outside sitting areas¸ with hot tub in patio and small goldfish pool. 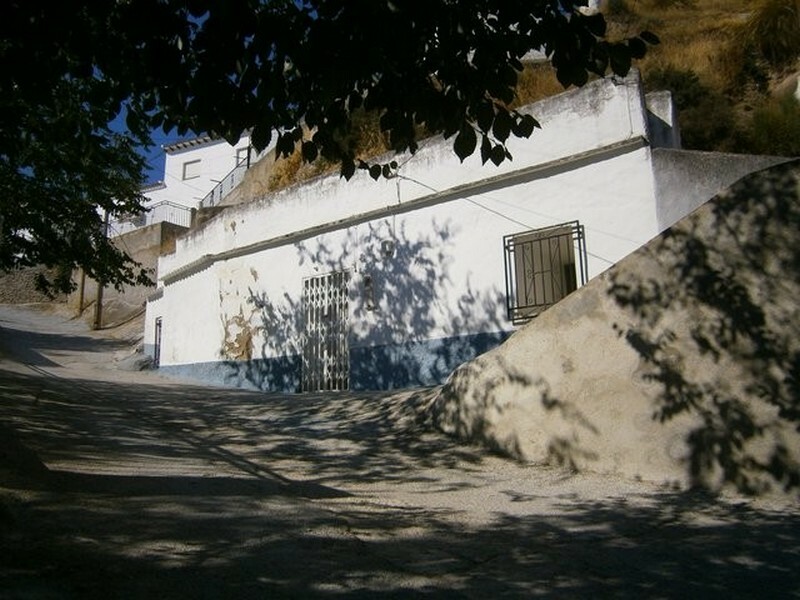 Short drive or walk to all amenities in the town of Baza¸ Granada. 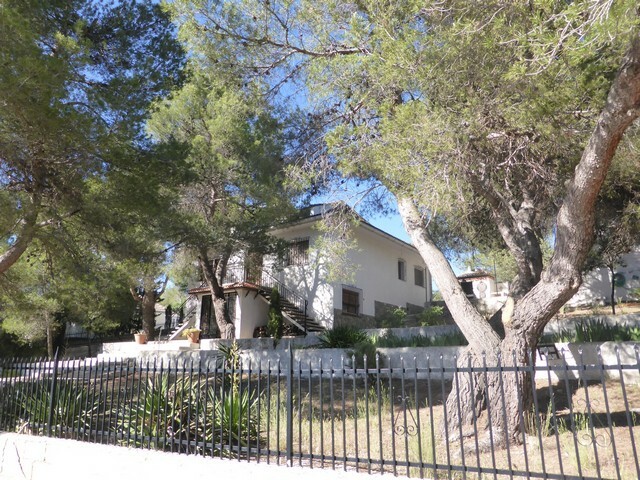 A 3 bedroom detached Villa with pool set on a plot of approx 1500 sqm¸ with stunning views over Lake Negratin. 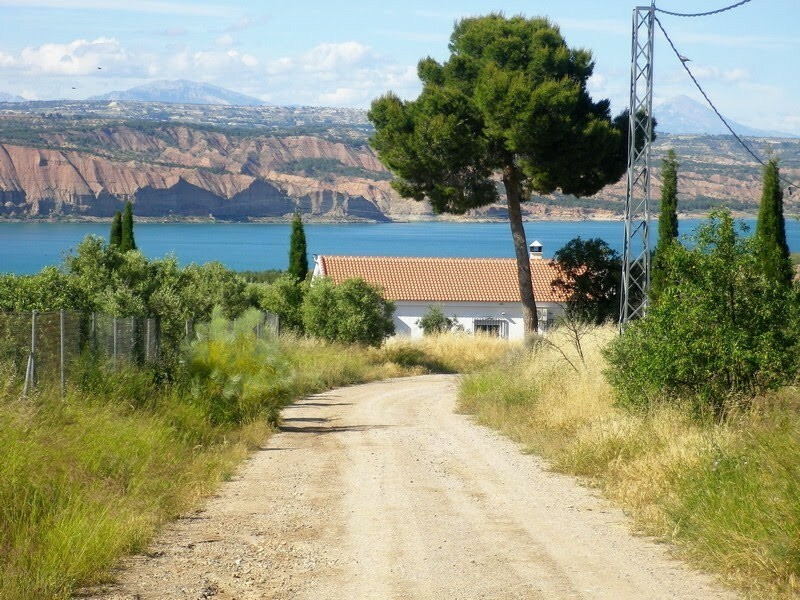 The villa is the last in a row of 5 similar properties just 2 min drive from the lake shore and 5 min drive to the small hamlet of Freila¸ Granada¸ and surrounded by beautiful Natural parks. The larger market town of Baza is 15 min away and the hot springs are close by. Mains electric¸water and internet are connected. 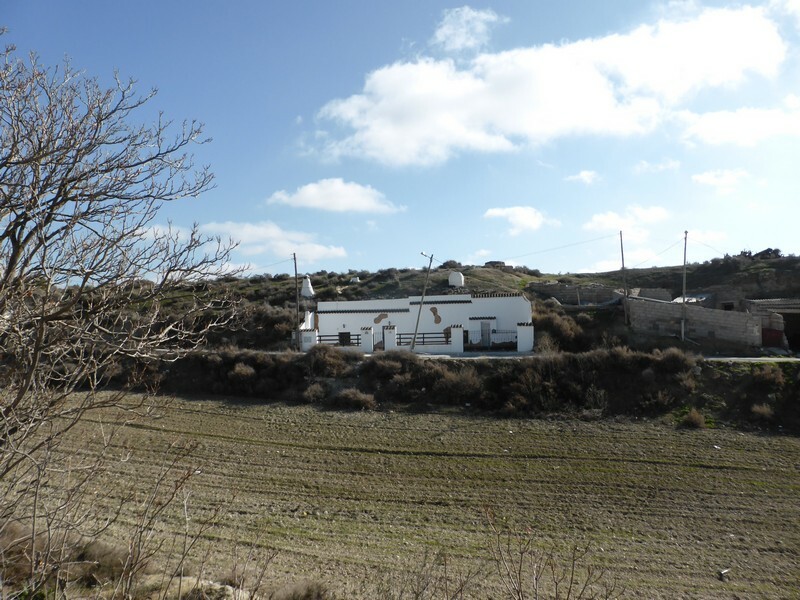 2 Spanish Cortijo's (farmhouses) for sale sat on an elevated position with far reaching views on a fully fenced and gated 8000m2 plot less then 10 minutes from Baza¸ Granada¸ Andalusia. 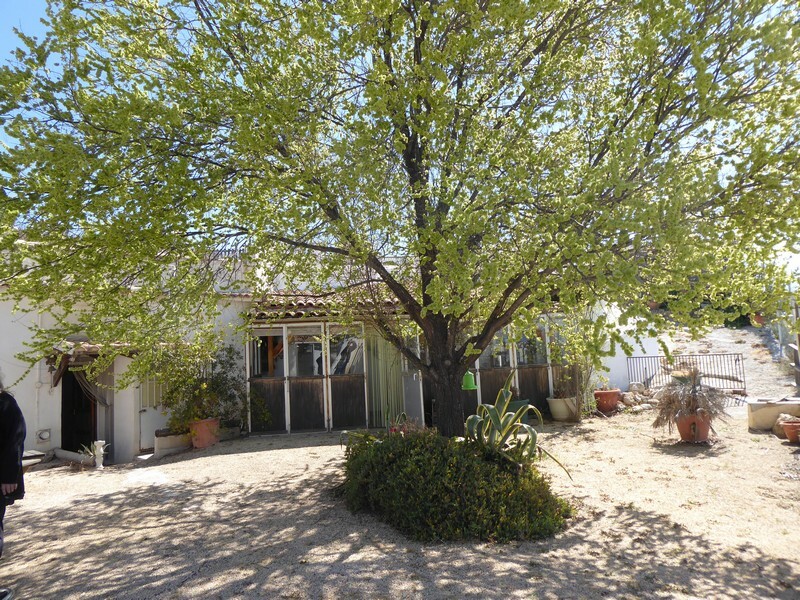 The first Cortijo has 4 bedrooms a large pool area with a 8mx3m pool and a 50m2 sun room on the side. The second Corijo lower down is slightly smaller with 2 bedrooms¸ kitchen etc and would make the perfect rental unit. Both are in ready to move into but are in need of a little TLC¸ with mains electric and its own well water. 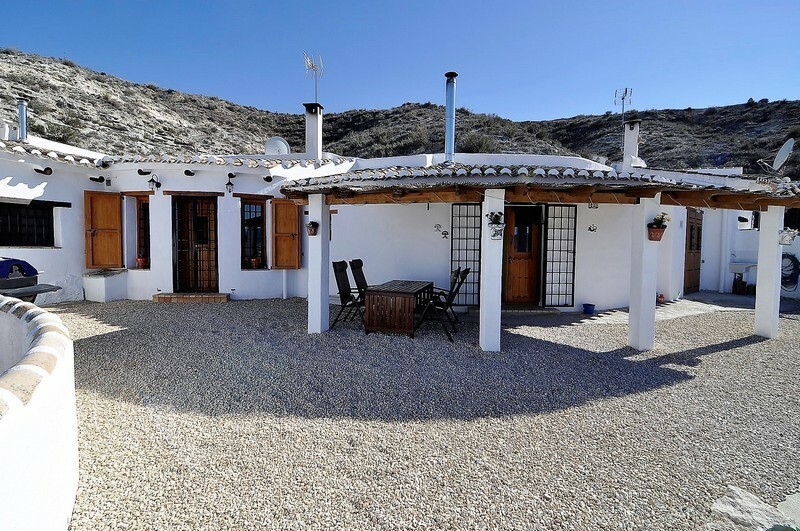 A newly renovated cave house with lots of character¸ sat midway up the valley in a small cave community on the edge of Galera Granada¸ with fantastic views looking over the countryside towards the Sagra Mountain from the patio. With a gravelled front Patio area. Mains services and internet available. Reduced 30¸000 Euros!! 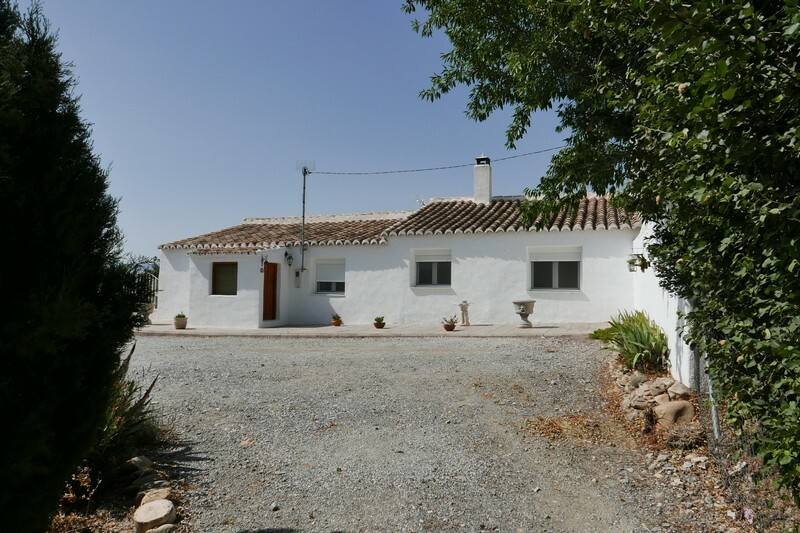 A 2 bedroom reformed rural cave house with a separate 1 bedroom studio style cave accommodation above¸ on the outskirts of Baza Granada. This rustic cave house has been reformed to a high standard¸ very interesting layout with large terraces for both caves¸ great views and lots of natural light. This is a perfect cave to live in¸ a great rental businesses or both. Based in Baza (Granada), Spain, Real Estate Rusticom Andalucia is a registered real estate agency specialising in rural Spanish inland properties for sale in The Altiplano de Granada or otherwise known as the Granada "Lake District" which extends inland into the provinces of Granada, Almeria & Jaen in the south of Spain, in rural Andalusia. The Altiplano de Granada or the "Lake District" as it is becoming known, is one of the most visually stunning areas in all of Spain. In Spain, this area is know as region of the "Paridise of Contrasts" given that nearly every landscape that exists in Europe can be found within a 60 mile radius, from deserts to trout streams to coasts to snow capped mountains to forests and lakes . This historic region is found at the strategic crossroads of the provinces of Granada, Murcia, Almeria & Jaen and is quickly becoming the inland spot of choice because of its excellent road network, traditional local towns and villages, full amenities, easy access to the coasts, capitals and mountains and airport service from 5 international airports (including Granada, Almeria, Malaga, Murcia & Alicante airports) from 1 to 2 hours drive. If you are searching for a property in Spain for full time living, retirement, holidays, investment, business or B&B and are looking for a change you’ve come to the right place. 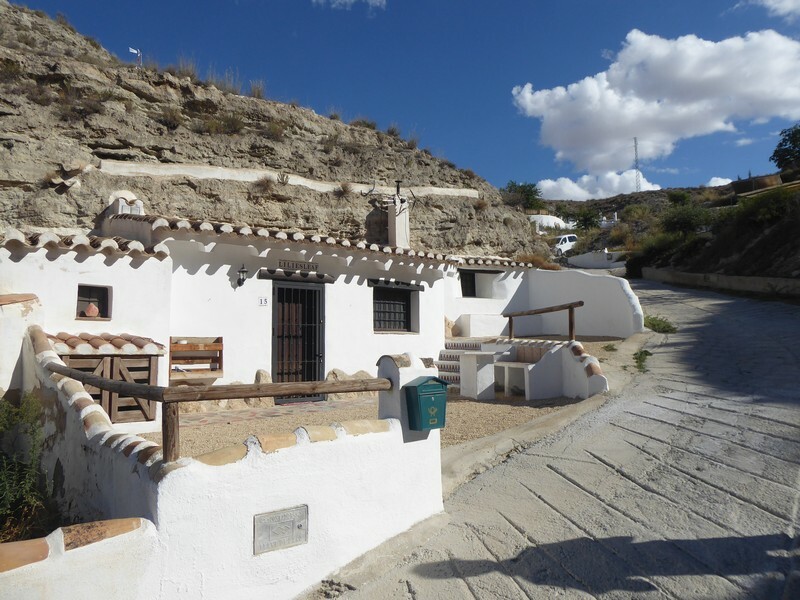 Why not live in a traditional Spanish cave house, cortijo or finca in Andalucia, typical Andalucian rustic farmhouse in the country, Spanish villa or a charming historic town house in rural inland Spain? We represent property for sale in traditional rural Spain but be within easy reach of airports, the Spanish coast, skiing and the capital cities of Granada, Almeria, Murcia & Jaen. 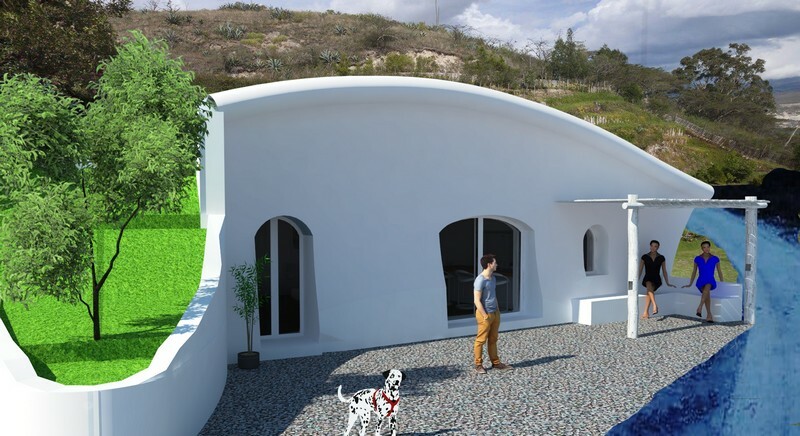 If you’ve decided that a cave or partial cave home is for you or maybe want to live an eco friendly lifestyle or need to know more about what owning a cave house is all about – Rusticom Andalucia can help! 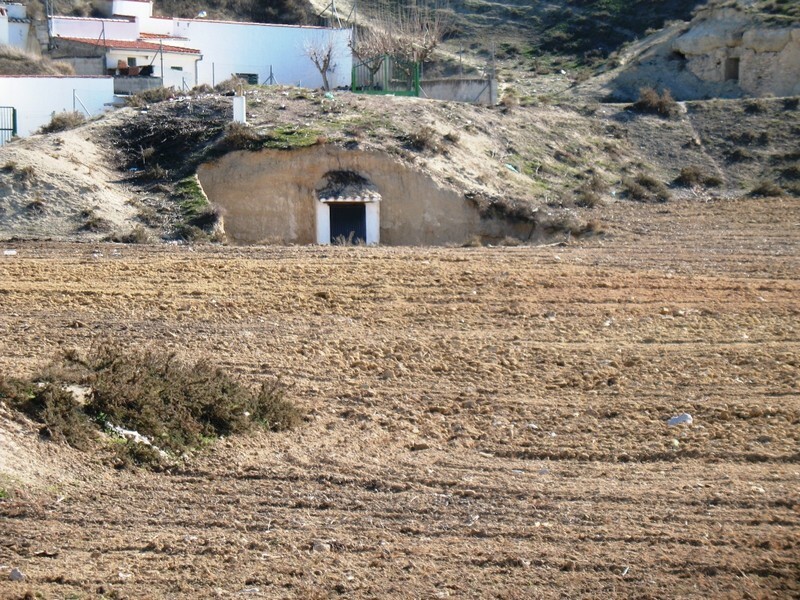 Cave houses are found throughout the Granada area, spotted throughout the surrounding countryside. A cave house is not only one of the most comfortable and economical ways of owning a property in southern Spain, they are great value. A cave home lets you enjoy a constant pleasant temperature of about l8 C, resulting in cool summers and warm in winters. Carved into the local landscape, cave homes are a magnificent example of man's integration with nature. 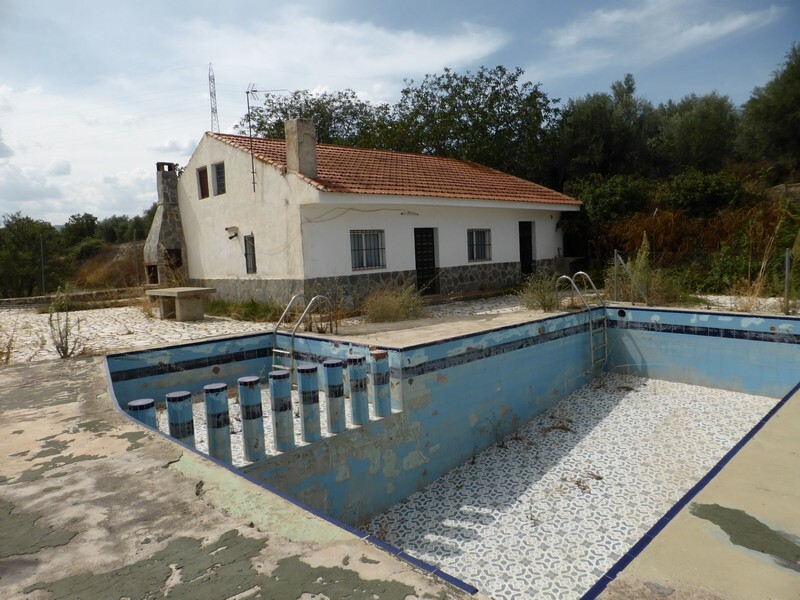 Or perhaps you are more interested in a rural Spanish Cortijo or country house in rural Spain? A Spanish Cortijo (or typical Spanish farmhouse) is the primary representation of Andalusian architecture. Often with land and outbuildings the cortijo typically has excellent views of the countryside and excellent illumination. Rusticom has several country properties ready to move into or for renovation and reform. Many of our rural houses would be ideal for business or B&B. 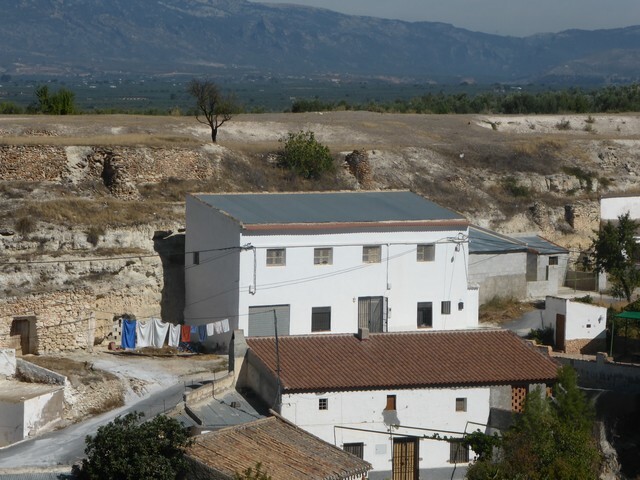 Or maybe a town or village house in a typical Andalucian white washed town or village? Enjoy being part of a typical Spanish community and lifestyle with amenities such as schools, public transport, health care at your doorstep. Living in a typical Spanish townhouse combines all this with the comfort and security for you and your children that the local neighbourhoods in the region provide. Our coverage encompasses all the towns and villages in the Lake District of Granada including the beautiful areas around Lake Negratín, Lake Bolera, Lake El Portillo (or Castril), Lake San Clemente & Mount Jabalcón and the national parks of Sierra de Baza, Sierra de Cazorla, Sierra Castril, Sierra La Sagra & the Sierra de Los Filabres. 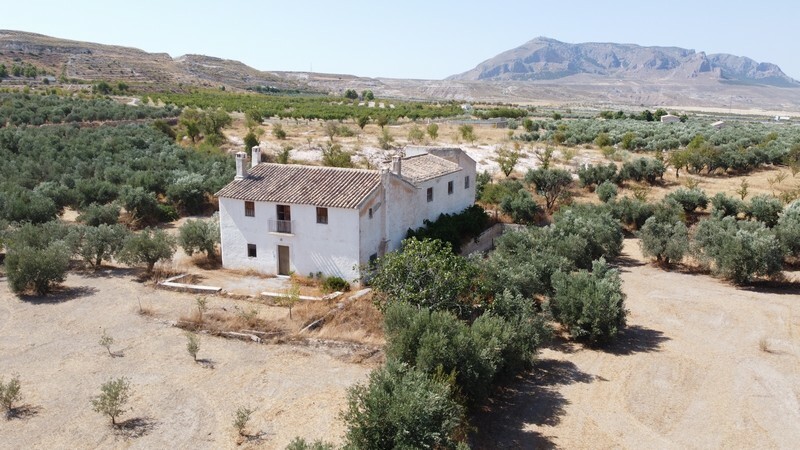 Rusticom Andalucia also has property for sale in and around the large market towns of the region including Baza, Guadix, Huéscar, and Pozo Alcon and in the towns and villages and countryside of Galera, Castril, Caniles, Cortes de Baza, Gor, Freila, Zujar, Cuevas del Campo, Cullar, Castillejar, Benamaurel & Orce among others. 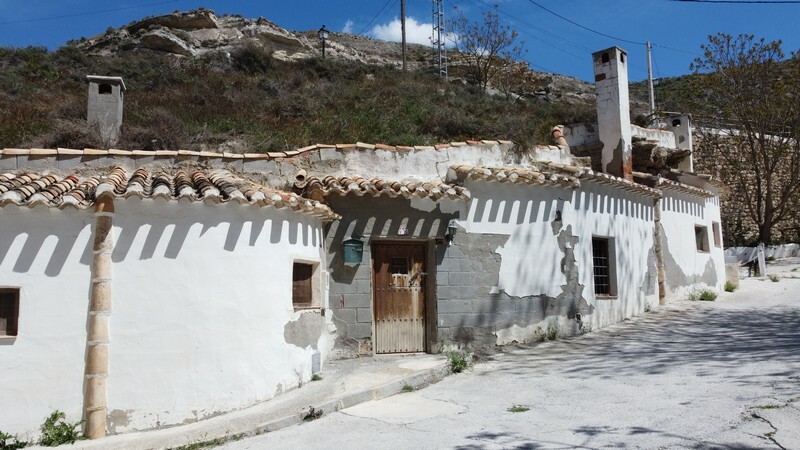 Our extensive listings of properties in rural Spain range from cave houses in need of complete restoration to renovated country homes. Just use our search page to find your ideal Spanish inland rural home. The staff of Real Estate Rusticom Andalucia would be pleased to assist you in your property search in inland Andalucia, Spain. Come experience traditional Spain and become part of our community.